Falooda is a typical Indian type of dessert, made with milk and cream, almost a cross between a Panna cotta and Jelly kind of dessert. Most commonly served during the month of Ramadaan, in many Muslim Homes, but can be served anytime of the year, with Summer being an ideal time, this dessert is cooling and Delicious at the same time. This is my family recipe, One of the very 1st Dessert always opted for on the 1st day of Ramadaan. But this cooling and refreshing dessert is perfect absolutely anytime of the year, and I do hope some of you do give it a try, and I would love to hear from you in the Comments below. ~bring the liquid to a gentle boil, whisking all the while, this helps create the “frothy” finish when set. ~allow to set (±2 hours) and decorate. (Today I just drizzled a little Dessert Cream and topped with Strawberry), Or can be enjoyed just as it is. *You can up the amounts of sugar/condensed milk for a SWEETER end result. 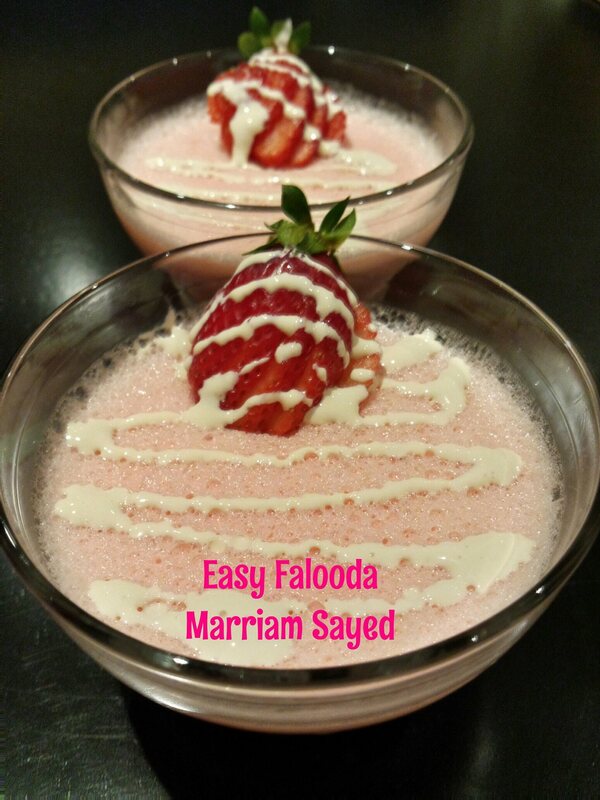 * This dessert works perfectly in moulds, lightly spray the silicone moulds with non stick baking spray, after falooda set, I FILLED a large oven tray with a little boiling water, and sat the mould into it for a few seconds. * Place a plate you going to use to serve in, on top of mould and gently invert the mould with the lid for easy handling.